Nothing is worse than standing in the kitchen at the end of a long day, cooking dinner and washing the dishes. Well, while we can’t help with the dishes, we *can* help your tired, achy feet! Comfort to Stand On! 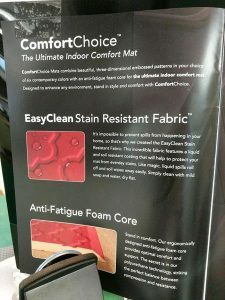 Our ComfortChoice™ Comfort Mats not only look good in your home, but they are functional as well. 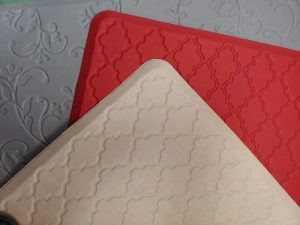 With the anti-fatigue foam core, they are perfect for the kitchen, in front of the stove, sink and any area where you spend long periods of time standing. And don’t worry about stains, they come equipped with EasyClean stain resistant fabric so dirt and spills easily wipe clean! Stylish Enough for the Entire House. Often times appearance is sacrificed for the sake of comfort. Not, with ComfortChoice™! Our Comfort Mats come in three-dimensional patterns and contemporary colors stylish enough for anywhere in your home – entry ways, kitchens, hallways and more. 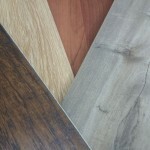 If you haven’t tried these mats we’d love for you to stop by and test them out. Your feet will thank you and with their stylish looks, it really is a win/win! After all, who can lose when you’re standing up for comfort and style?